Follow the Money is a harrowing behind-the-scenes account of how a cabal of powerful, tightly connected Texas Republicans have quietly hijacked American politics for their own personal gain. It tells the story of how the Texas political system came to be hijacked by a sophisticated, well-funded group of conservative Republicans who, once they were able to elevate George W. Bush to president, then went about applying their hardball, high-dollar politicking to Washington, D.C. This book tells who did it, how they did it, and what they did. 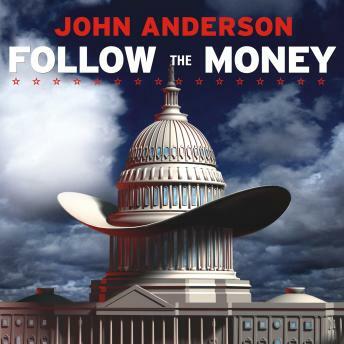 In Follow the Money, John Anderson explains what has happened in such diverse yet Texas-connected realms as tort reform, labor policy, energy policy, congressional redistricting schemes, Washington lobby practices, tax law changes, the Supreme Court, the Department of Justice, and many more that affect the future of this country.